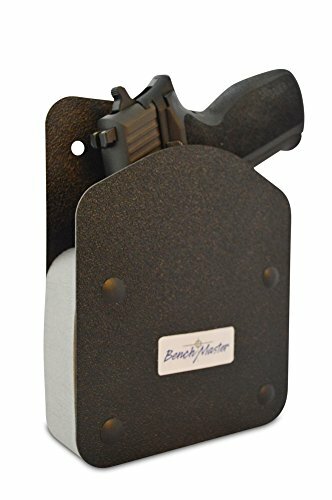 This single gun weapon rack for your pistol - left or right - this universal pistol holder is designed to hold your pistols in a safe and secure manner that allows rapid access. This weapon rack single gun BMWRMHSAV features closed-cell chemically crossed-linked polyethylene foam. The product characteristics include high resiliency, thermal insulation, high strength and shock Absorption. Additionally, it is impervious to Rot, mold, mildew and bacteria, and has extreme low water Absorption and chemical resistance.